"The Far Field is remarkable, a novel at once politically timely and morally timeless. Madhuri Vijay traces the fault lines of history, love, and obligation running through a fractured family and country. Few novels generate enough power to transform their characters, fewer still their readers. The Far Field does both." 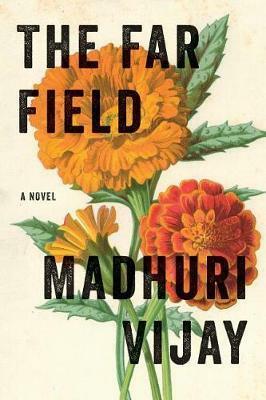 --Anthony Marra, author of The Tzar of Love and Techno Gorgeously tactile and sweeping in historical and socio-political scope, Pushcart Prize-winner Madhuri Vijay's The Far Field follows a complicated flaneuse across the Indian subcontinent as she reckons with her past, her desires, and the tumultuous present. In the wake of her mother's death, Shalini, a privileged and restless young woman from Bangalore, sets out for a remote Himalayan village in the troubled northern region of Kashmir. Certain that the loss of her mother is somehow connected to the decade-old disappearance of Bashir Ahmed, a charming Kashmiri salesman who frequented her childhood home, she is determined to confront him. But upon her arrival, Shalini is brought face to face with Kashmir's politics, as well as the tangled history of the local family that takes her in. And when life in the village turns volatile and old hatreds threaten to erupt into violence, Shalini finds herself forced to make a series of choices that could hold dangerous repercussions for the very people she has come to love. With rare acumen and evocative prose, in The Far Field Madhuri Vijay masterfully examines Indian politics, class prejudice, and sexuality through the lens of an outsider, offering a profound meditation on grief, guilt, and the limits of compassion.